Missing the mark on scan times can result in a lower quality image or an unnecessarily increased dose to the patient. 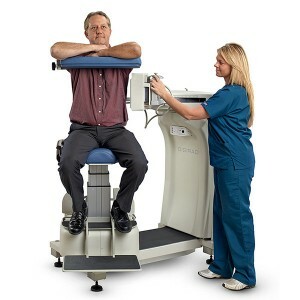 Each patient has a different height, weight, and size, which all impact the scan time and image quality. Technologists utilize their experience to estimate the ideal scanning time, but it is still a bit of a guessing game. What if there was a way to precisely calculate the scan time based on the injected dose? Digirad’s TruACQ Count Based Imaging™ software provides that solution. TruACQ Count Based Imaging™ is the first and only count-based SPECT imaging technique that ensures consistent counts for every patient study, regardless of the patient’s size, weight, or the dose used. This proprietary software is designed to simplify the decision-making process around acquisition time. TruACQ™ takes a quick look at exactly what the detectors are picking up, which accounts for all possible variables, and provides the optimal scan time for the patient being imaged. The result is the highest quality image in the shortest amount of time. TruACQ™ is used on each scan, creating a scan that is personalized to fit the patient’s unique body. TruACQ™ is designed to base the required count level on the American Society of Nuclear Cardiology (ASNC) standards. The ANSC low-dose guidelines are designed to minimize radiation exposure without sacrificing quality or clinical benefit to the patient. Undoubtedly, lower radiation exposure is safer for patients, and low dose protocols are becoming more widely implemented. In fact, low-dose standards may eventually become a requirement for reimbursement. However, under-dosing could result in lower quality images, which could compromise the study interpretation, resulting in additional scans or an overlooked diagnosis. TruACQ™ is Digirad’s proprietary software solution only available on Digirad Cardius® cameras. To learn more about how TruACQ™ determines scan time, contact our imaging team for a demonstration.